If this look doesn't scream teacher I don't know what does! 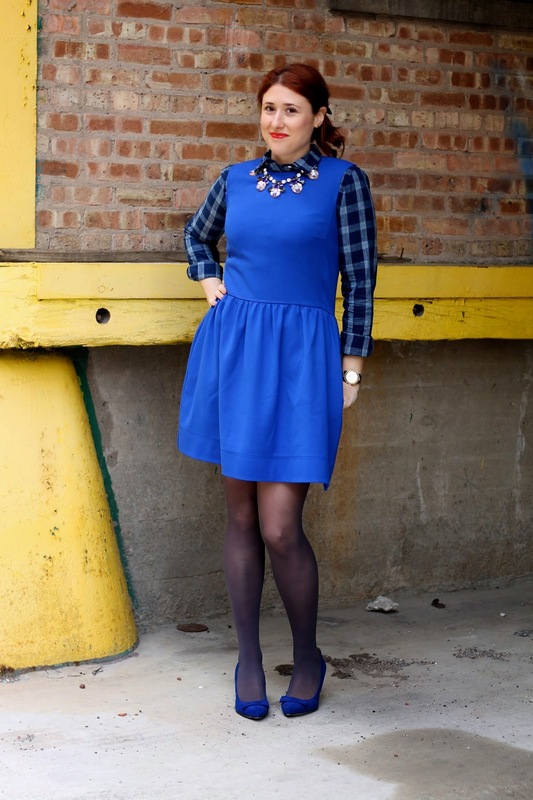 A fit and flare dress in such a pretty shade of cobalt paired with a J. Crew plaid button down makes this spring dress wearable while it's still pretty chilly out. Tights don't hurt the situation either even though I wish they weren't necessary still.